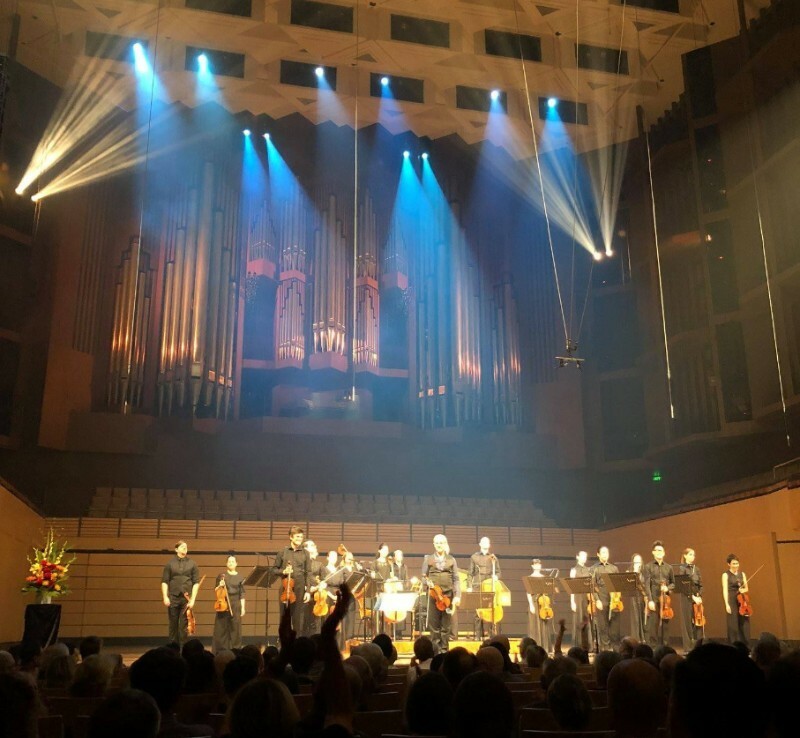 Following on from a week of intensive workshops with Davide Monti, Camerata presented Viva Vivaldi at the Empire Theatre (Toowoomba) and QPAC’s Concert Hall (Brisbane). Audiences were treated to a rare opportunity to revel in Vivaldi’s complete set of instrumental concertos, L’Estro Armonico. Well known and respected Brisbane lighting designer, Ben Hughes set the mood for the evening at QPAC’s Concert Hall, with a beautifully crafted lighting design inspired by each movement. Actress, Veronica Neave, provided narration giving insight into Davide’s philosophical approach at the top of each set of concertos. As an encore, audience members were then treated to a piece entirely improvised, utilising the newly learnt techniques from workshops with Davide Monti. This work resulted in the audience leaping to their feet in a full standing ovation in appreciation for a very special night of music. Thank you to our Brisbane audience for your response on the night and for making this the most attended main stage performance of 2018. Viva Vivaldi also saw the official launch of Camerata’s new costume, designed by Brisbane designer Leigh Buchanan, which were individually designed and tailored to match the personality and playing styles of each of our Artistic Associates. ABC Classic FM captured the Brisbane performance live, which was recently played on air and can be live streamed on their website. A full gallery of social photos is also live on our Facebook page. Be sure to have a look and tag yourself if you’ve been captured.